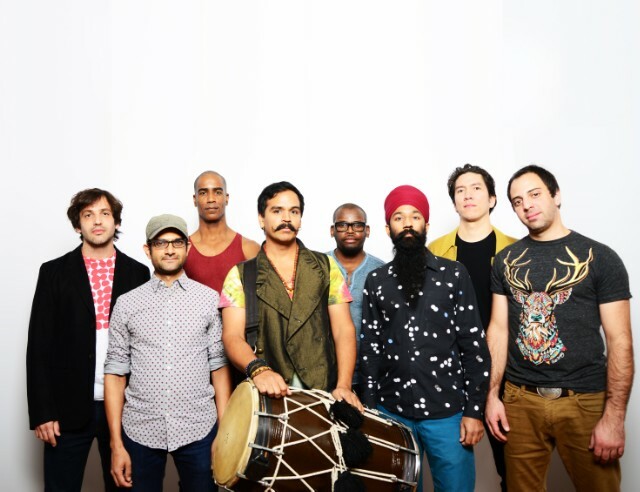 “Bhangale,” the new single from Brooklyn eight-piece Red Baraat, fuzes jazz, go-go, North Indian bhangra, and Sri Lankan-inspired drumming into a knitted blend of polyrhythmic panache. Meanwhile, the brass section—sousaphone, trombone, saxophone, and trumpet—ignites the track with a rush of interwoven improvisations. By calling out “bols,” the mnemonic “alphabet” of syllables used to describe tabla rhythms, the band explore what it means to communicate music between individuals and across cultures. Red Baraat’s percussive strength reflects the interests of bandleader Sunny Jain, who plays the dhol, a double-headed drum worn over the shoulder. “Bhangale” also features contributions from guitar hero Delicate Steve. 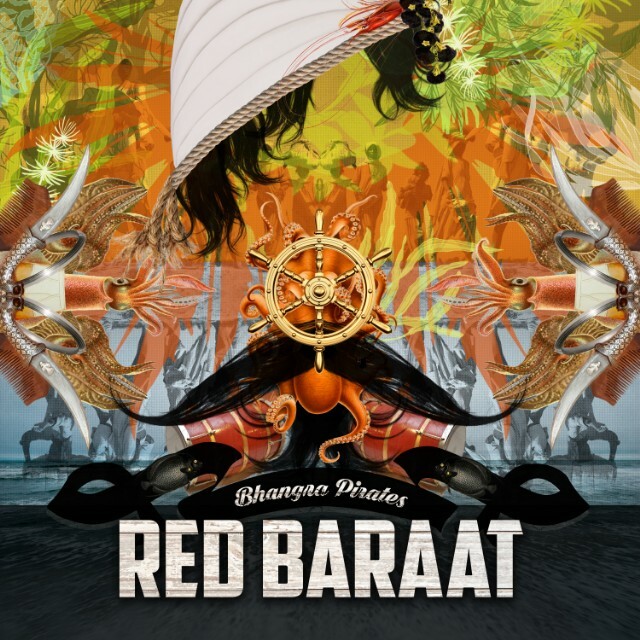 The song appears on Red Baraat’s upcoming album Bhangra Pirates, due out March 24th via Rhyme & Reason Records. Listen below, and see upcoming tour dates here.